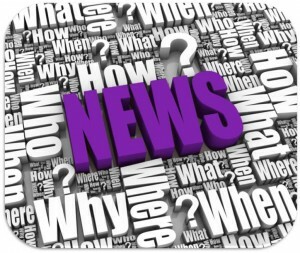 Online press releases are a key element of your SEO strategy. As well as boosting your search engine optimisation, online PR helps by creating awareness about your company. Every business has news and stories to tell. That news can help promote your company and increase your online visibility. You might want to promote an event, launch a new product, or have recently appointed a new member of staff. Whatever your news, our press release submission service will handle all the PR distribution needed to help build your online reputation. Give us a call today and discover the benefits of online PR for yourself. The number is 0845 601 2237. Feel free to send us a message and we will be happy to respond to any enquiries you may have. In the days before the internet, press releases were sent to the media with variable results. If you were lucky, your press release might get used. And if your article was published, the short lifespan meant it was here today and gone tomorrow. The internet has transformed PR. Online press releases are submitted to specialist PR sites, delivering a valuable source of incoming links to your website. And online press releases have an almost limitless life-span, so they continue to work for you for years to come. An ongoing press release submission campaign ensures your company has a highly visible online presence and helps keep your SEO topped up. To get the most from your online PR campaign, your press releases must be submitted to relevant and authoritative PR websites. Our SEO specialists work only with the most reputable online PR directories, to ensure high levels of traffic and good quality links back to your website. Our SEO Service Pros team can help with every part of your PR submission campaign, from writing SEO press releases to their distribution. If you’d like to find out how you can benefit from our online press release submission service, give us a call now on 0845 601 2237. Or if it’s more convenient, you can send your online PR query via our contact form. Like website copywriting, SEO press release writing calls for skill and expertise. Online press releases must be well written, factual and informative to ensure interest is generated. Relevant keywords are used to make sure each press release is optimised as fully as possible. Our experienced SEO copywriters have extensive online PR experience. They will take your news stories and craft powerful press releases which will help increase your company’s standing and boost your internet footprint. Online PR is a powerful SEO tool. But combining online PR with a social media campaign can significantly increase the benefits. This works by creating a viral effect. The link to your online press release is shared across your selected social media channels to increase traffic and awareness. Are you missing opportunities by not taking advantage of an online PR campaign? If so, it’s time to start spreading the news. Pick up the phone now and give us a call on 0845 601 2237, or send us a message if you prefer. We’ll be happy to advise you on your online PR opportunities and how you can make the most of them.